What kind of respect is culture owed? Once you decide, then you can wonder what insiders can rightly do to preserve a culture, and what outsiders ought to do, both extremely difficult questions. But first, why even begin to think of culture as a good? It seems culture must be a good, considering that the story of a culture coming to an end so often reads as a sad story. In The Old Way Elizabeth Marshall Thomas tells a touching story about the way the culture of the San people of the Kalahari desert has all but died away in the last 50 years. The story of the decline of Eskimo culture after first contact with Europeans reads as a tragedy. 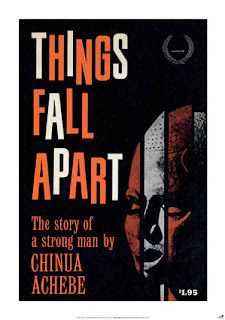 In Things Fall Apart Chinua Achebe doesn't romanticize Nigerian tribal culture, but it's still a loss when missionaries come along and destroy it. Or you could explain the sadness of these stories without assuming that culture is a good. When things fall apart, people are left at the margins of other cultures. There's loss of pride. There are new wants, derived externally, that can't be fulfilled. The old way of life is gone, but a new way of life doesn't necessarily take its place. People lose their anchor and often become destitute. I suspect loss of culture is the loss of something good, which is not to say that all cultures are equally good or that they shouldn't be judged, or merit absolute deference. And then there are all the additional costs as well when a culture is destroyed. So what should insiders and outsiders do to prevent the destruction of a culture? Kwame Anthony Appiah's book The Ethics of Identity makes it clear this is a profoundly difficult question. As sad at it is when a culture disappears, it's awfully tricky, ethically speaking, to stop that from happening.